If you’re riding long distance, you won’t get far without water. It’s difficult to ride or exercise while you’re dehydrated. 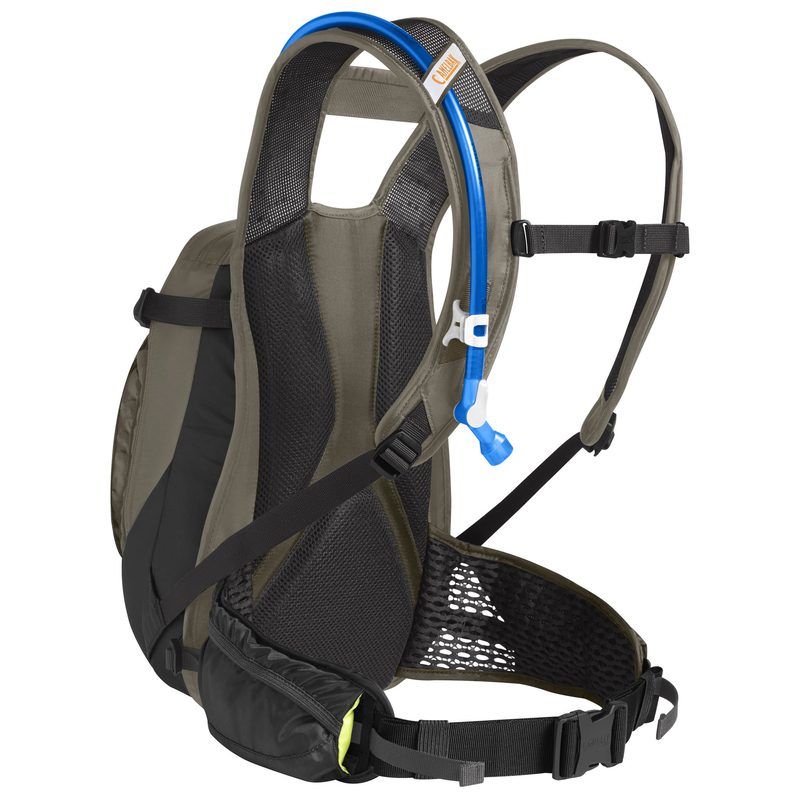 Having a hydration pack means you can carry more water so you can ride longer. 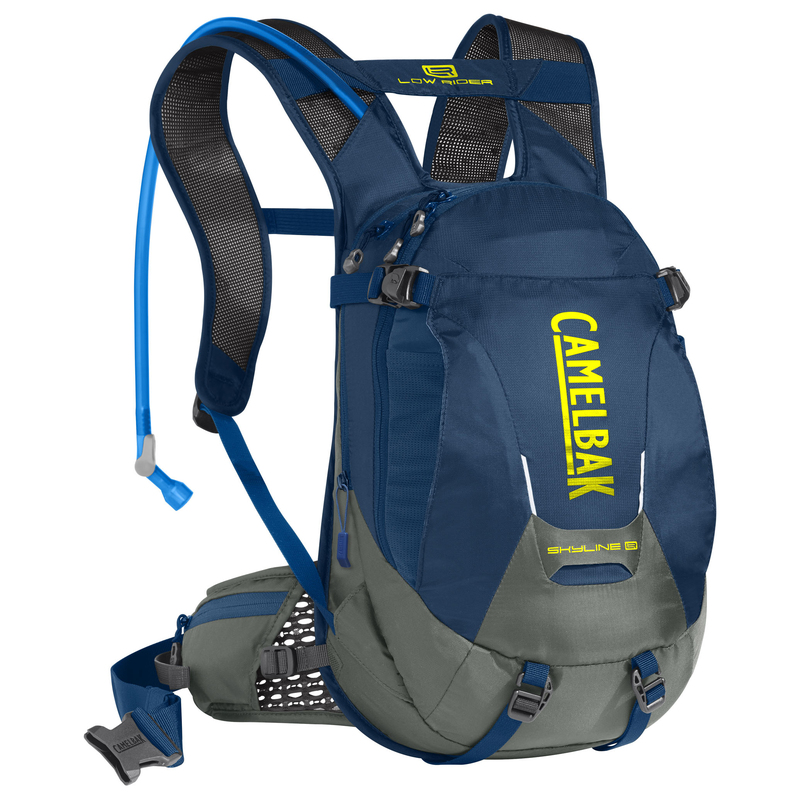 The Camelbak Skyline LR 10 100oz is newly redesigned and is perfect for downhill riders. More weight and support is shifted to the lumbar region so maximum stability is achieved. Having this lower center of gravity means you will have more stability on those bumpy trails while letting your upper body move more freely. The Skyline LR 10 comes with the all-new Crux LR Reservoir with a Quick Link that provides a faster flow rate so you can get more water per sip. 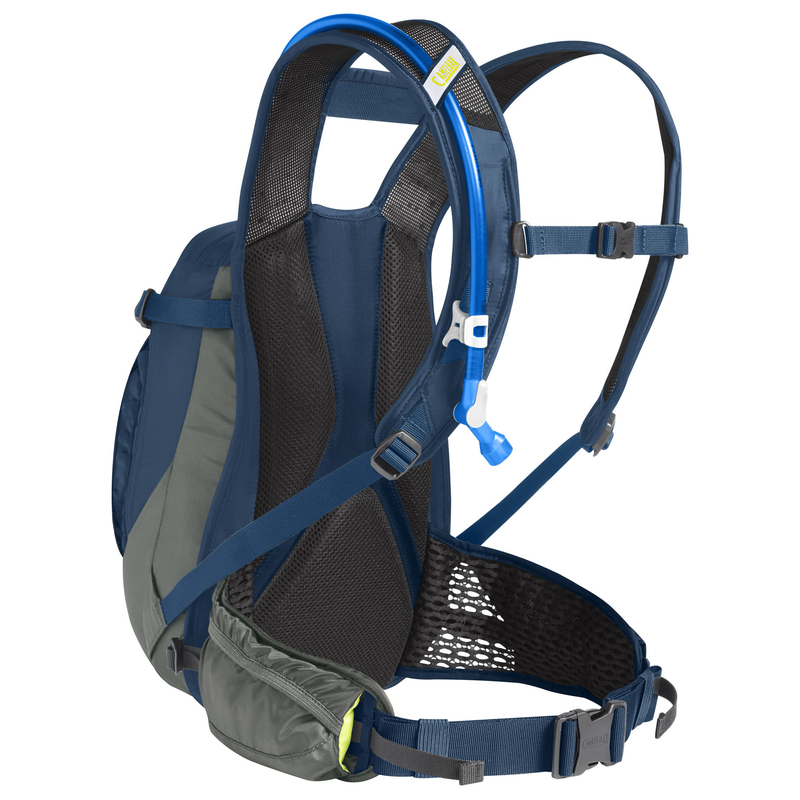 It features a stabilizing shoulder yoke that keeps the pack centered on your back for additional stability and range of movement. The magnetic tube trap keeps your valve close by and the helmet and armor carry ability means you can stow and secure a full-face helmet, knee, and elbow pads. The ventilated hip belt and back panel provide excellent airflow, so you stay cool on warmer rides. With reflectivity built in, you’ll have increased visibility in low-light conditions. 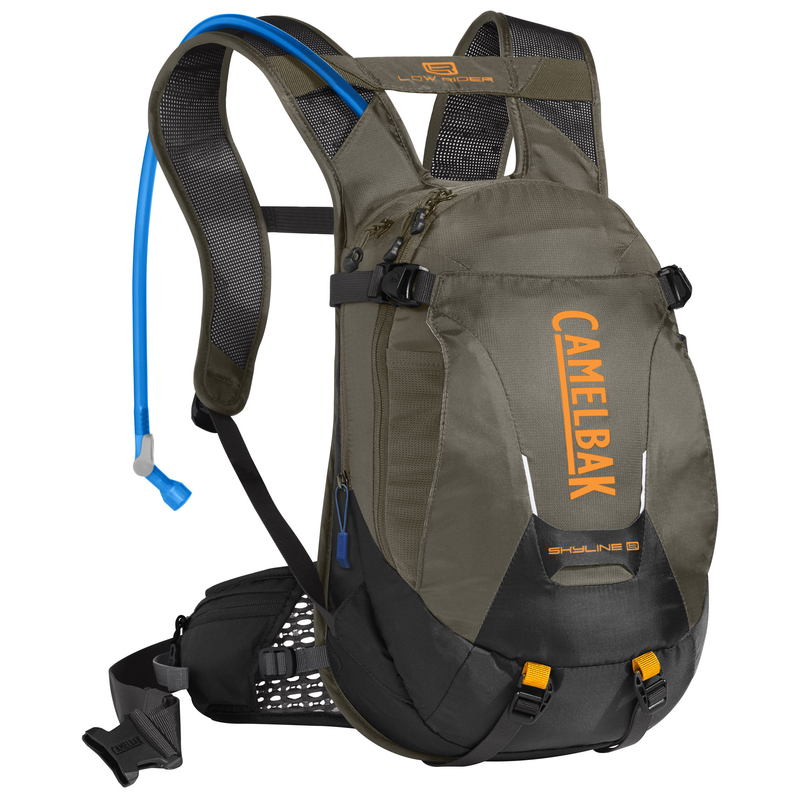 Very comfortable/practical hydro pack. Being 6'2", it's nice having enough shoulder strap to work with after dialing its' location on my back. Would be great if one of them had a mesh pouch. The bladder pouch leaves ample room for more storage atop it, tool roll (included), tube etc. 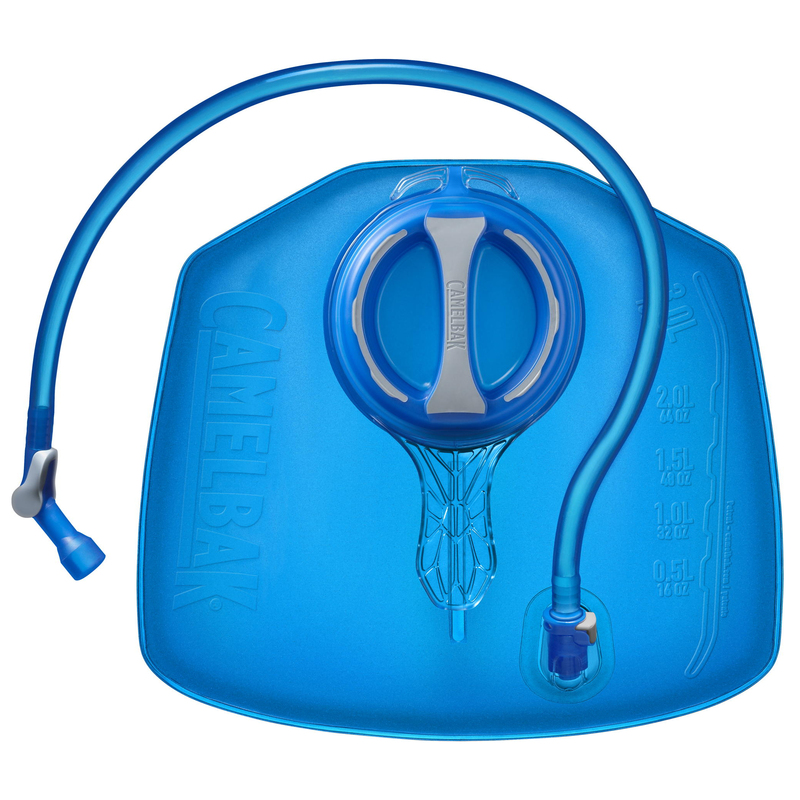 The exterior pouch affords quite a bit of storage space when not being used for pads, a great plus. Big packs are irrelevant for me for the most part, this is a great application, especially when I have it dialed for max efficiency. Don't give a rats hoo-hoo about ventilation on any pack so long as it's comfy and it is! Not too much, not too little.